Humans have always eaten meat, but does meat now threaten our survival? Many governments and institutions believe so. Reports from the United Nations, Oxford University, and others claim our appetite for flesh food could soon ruin the planet. By 2050, the world’s population is projected to surpass 9 billion people. Anticipating the near future with the meat-eating habits of today, experts fear food shortages and environmental devastation. But according to Diana Rodgers, an author and registered dietitian nutritionist, meat is being unfairly demonized. She says our appetite for animals isn’t the problem; it’s the way the animals are raised. Rodgers, who lives on an organic farm west of Boston, is also working on a documentary exploring the ways in which raising meat may actually be good for the environment. Since meat production has shown to be a major contributor to greenhouse gas emissions, livestock is often blamed for warming the planet. In “Comfortably Unaware,” a 2011 book that examines global depletion in relation to food choice, Richard Oppenlander writes that even if we were able to break our reliance on fossil fuels, it still wouldn’t be as impactful as if everyone adopted a plant-based diet. “The single most devastating factor that affects global warming and our environment is caused by what you eat,” writes Oppenlander. But Rodgers points to historically large herds that have lived in harmony with the environment. Consider the 30 million to 60 million bison that once roamed North America 200 years ago. Ruminants—a fancy word for large grazing animals that include cattle, bison, and wildebeest—are born to roam. Movement is essential to their survival because they must avoid predators and constantly seek a fresh food source. The fertilized ground they leave behind replenishes itself. The new grass pulls carbon down through its roots and feeds it back to bacteria in the soil, which in turn provides nutrients to plant life. “It’s a really beautiful system. The problem is, we’ve really gotten pretty far away from what nature is,” Rodgers said. In the not-too-distant past, animals raised for meat enjoyed a lifestyle that still resembled that of their wild counterparts. But this farming model is disappearing fast. In 2015, the environmental lobbying group Food and Water Watch reported on the problems associated with the meat industry’s move toward larger and more factory-intensive operations. “These intensive methods come with a host of environmental and public health impacts that are borne by consumers and communities,” states the report. Unlike the natural waste recycling system of pasture-raised animals, modern meat production just creates filth. Sewage runoff from factory farms is the leading source of pollution in our rivers and lakes. In 2012, factory-farmed livestock produced 369 million tons of manure, about 13 times as much as the sewage produced by the entire U.S. population, according to the Food and Water Watch report. Yet unlike the sewage produced in cities, the manure on factory farms does not undergo any wastewater treatment. Dr. Joel Kahn, a Detroit-based cardiologist and author of the upcoming book “The Plant-Based Solution: America’s Healthy Heart Doc’s Plan to Power Your Health,” says factory farming gets its inspiration from the same mass-production strategy that manufactures the automobile. “If you could do it for a Model T, why not a T-bone?” Kahn said in an email. Mass production drives costs down, allowing more people affordable access to a particular product. However, applying this manufacturing method to living beings can get ugly. Kahn explains that animals in factory farms are squeezed into tight enclosures and denied normal social interaction. This often leads to aggression, so farmers routinely administer drugs to sedate the animals. These drugs eventually end up in the bodies of meat-eating consumers. But Kahn, who has eaten an exclusively plant-based diet for more than 30 years, doesn’t believe that grass-fed and free-range options are a sustainable answer. “These buzzwords do not account for the environmental burden of an expanding population eating more and more animal-derived foods,” Kahn said. One of the things blamed on meat production is the amount of land it takes to raise livestock. The rationale for a future with far less meat is that if more of this land could be devoted to crops rather than animals, we could feed more people. But Rodgers says much of the land around the world where animals currently graze is not cropable. Most of Africa, Iceland, Norway, and other places are completely inhospitable to the monocrop model of modern agriculture. Another reason people are pushed to adopt a vegetarian diet is that it’s associated with better health. Studies find that people who eat a more plant-based diet are less likely to suffer from heart disease, diabetes, cancer, strokes, and other health problems. As a result, health insurance companies in the United Kingdom and the Netherlands offer discounted rates for vegetarians. But not everyone believes that the story of meat as a source for disease is so solid. In the article “Is Meat Good or Bad for You?”, Dr. Mark Hyman, director of the Cleveland Clinic’s Center for Functional Medicine, points out that many studies associated with meat and disease outcomes are inherently unfair. They compare health-conscious vegetarians with individuals on a standard American diet. 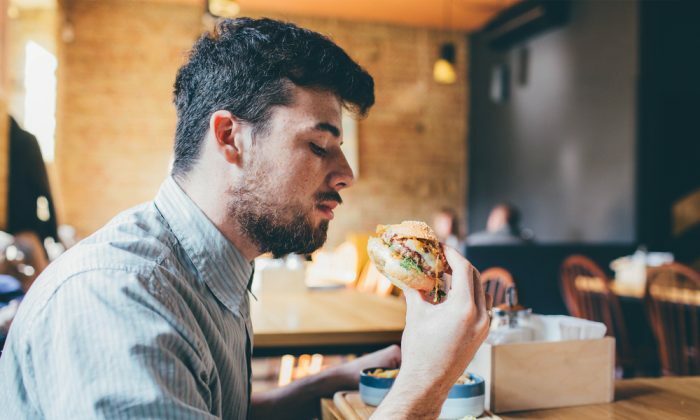 Researchers conclude that meat is the bad guy, but they fail to control for a myriad of unmistakably unhealthy factors such as excess sugar, smoking, and a sedentary lifestyle, making a single cause for disease hard to identify. Another consideration Hyman sees missing from most studies is meat quality. Grain-fed factory farmed meat, for example, is full of hormones, antibiotics, and pesticides, with more inflammatory omega-6 fats from corn and fewer anti-inflammatory omega-3 fats. Population studies don’t identify people who eat only grass-fed meat without hormones, pesticides, or antibiotics. Given the tricky circumstances of evaluating the impact of one type of food, Hyman admits it’s almost impossible to perform an accurate study of meat. However, he suggests some guidelines that would level the playing field: Randomize people into two groups. One group would exclusively eat vegetables and high-quality protein (grass fed or organic meat). The other group would consume a high-quality vegan diet. While we wait for the results of Hyman’s dream study to roll in, we can look to populations with diets that are already linked to longevity. These groups of people don’t shun meat; they just eat less of it. The “Blue Zones” are five regions around the world where researchers have identified the highest concentrations of centenarians: Ikaria, Greece; Okinawa, Japan; Loma Linda, California; the Nicoya Peninsula in Costa Rica; and the Ogliastra Region of the Italian island of Sardinia. These communities all enjoy regular exercise (it’s built into their routines), an active social life, and time to de-stress. They also consume a traditional diet of predominantly plant-based foods. Blue Zoners all eat some animal products, but their consumption is minimal—they just have a few small portions a month, on average. They also demonstrate relatively low rates of chronic disease. The Meatless Monday campaign is a gentle effort to get our diet moving in a Blue Zone direction, away from our meat-centric mentality and toward a more modest approach of animal protein. The campaign, the brainchild of a former ad man and the founder of the Johns Hopkins Center for a Livable Future, was started in 2003 and has since been adopted by many around the globe. As the name implies, Meatless Monday is about abstaining from meat one day per week. It gets its inspiration from a time when we needed to budget our resources. In both world wars, a meatless day of the week was introduced in the United States to ration meat for the troops overseas. Jennifer Mimkha, a registered dietitian with Prana Nutrition in Florida, encourages her clients to eat a more plant-based diet. She says Meatless Mondays are a great way to start. “It’s a nice way to get your toes wet without committing to a whole lifestyle change,” she said. Mimkha stands behind the research revealing health problems associated with meat, but she has also seen first hand that people who eat more plant foods feel better. The reason is that grains, beans, and vegetables contain something you won’t find in meat: fiber. But Rodgers points out that meat also has nutritional attributes not found in plants. For example, plants only provide the precursor to vitamin A, beta-carotene. About half of the population cannot convert beta-carotene into vitamin A efficiently. The key to any sustainable diet is balance. Hyman recommends building meals in which the meat portion is more like a condiment than a main course. He also asks us to consider the source of our meat and to choose quality over quantity. Grass-fed and organic animal products may cost more, but it balances out overall, he insists: “Ideally, you will eat less of the meat and more plant-based foods,” he said.